For someone like myself who doesn't own a lot of UD shadows, this palette of their 16 best-selling shades (all re-named) is a must. I was going to buy this regardless! 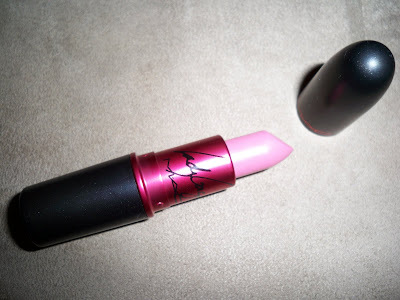 I love her, I love MAC, and it's for a good cause. Later in the Spring, I am going to buy the coral-red Cyndi shade. I think it will look better on me once I am tan again. Do you own either, none, or both? the eyeshadow palette looks amazing! i have a few of their pots [and have no idea what the names of the colors are], and i love them! i might have to scope this out next time im out shopping. how much is that palette? I just got the palette and it's beautiful! I haven't used it yet but I can't wait!!! I have been dying to get the palette. I mention it to my husband just about every day in hopes of approval to go splurge;) I want it sososososoooooo bad. How are you enjoying it? I love the Alice palette! I was going to pass on this but then I saw it at my Sephora and had to have it! It's so cute! I just picked up Gaga Sunday...love. 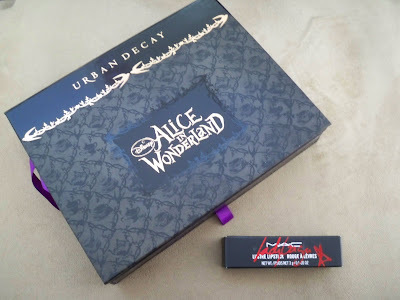 Hey how much is the UD ALice in Wonderland palette?? 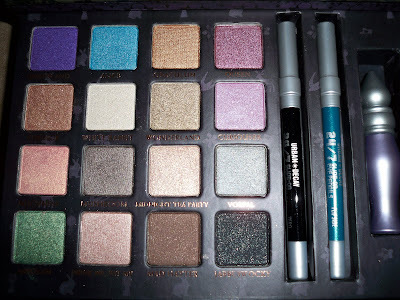 I like the alice palette alot, I don't think i'll be getting it though since I got the book of shadows volume II not too long ago, and i'm pretty satisfied with it :) As for gaga... ughh I need it<3 such a pretty pink! And I agree about the Cyndi shade, since redish colors don't really work on me unless i'm tan. Ugh can't wait for the spring time!